When you're stuck out in the 'Boonies' you need to take reliable survival equipment with you, and Boonies Outdoor Scout Paracord is the ideal paracord for a multitude of tasks around the camp site, from lashing together poles, to setting up your survival shelters or even making paracord bracelets - Bonnies Outdoor Scout Paracord is the answer to your knotting needs! 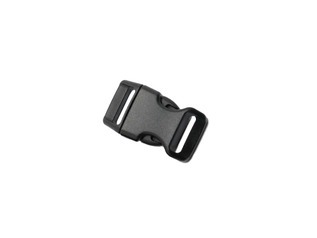 Unlike 550 Paracord, Boonies Scout Cord is smaller and more compact to carry. 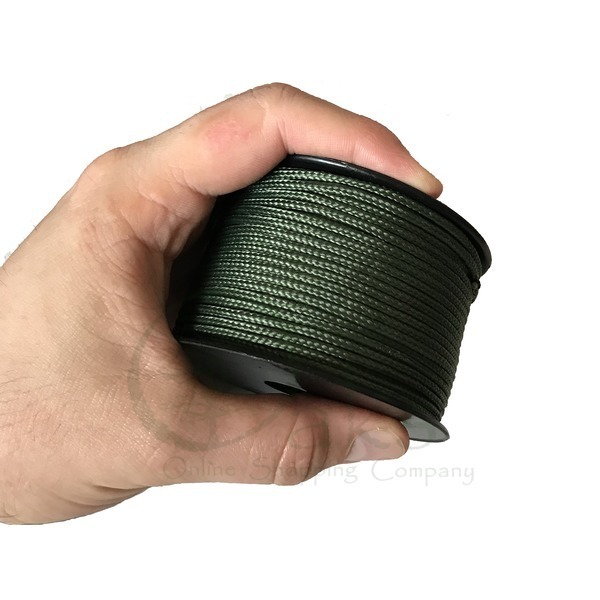 The cord measures 2mm in diameter and comes supplied on a pocket-sized reel, so it can be kept handy at all times for your emergency bushcraft and survival needs. 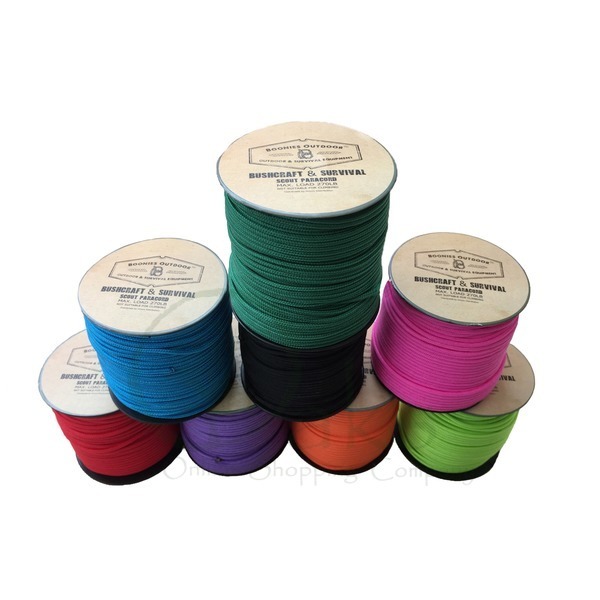 Each reel of high-quality paracord is 50m (approx. 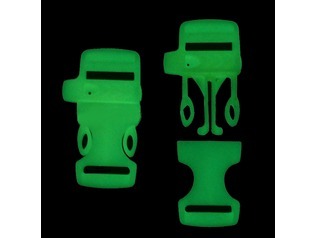 165ft) in length and it is available in a variety of different colours to choose from. Each reel of compact Boonies Paracord is a smaller than a can of fizzy drink, and weighs a mere 140 grams (approx.). 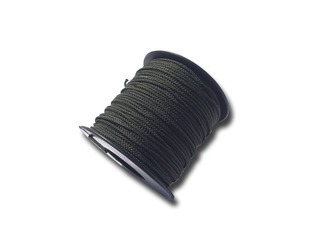 This paracord may be used for more delicate tasks such as trapping or other lighter weight survival tasks. The inner core strand provides great strength to the paracord, which boasts a breaking strain of approx. 270lbs, although this cord must not be used for climbing or supporting life. This great utility cord will also easily braid into a thicker survival-type rope should you require double strength. 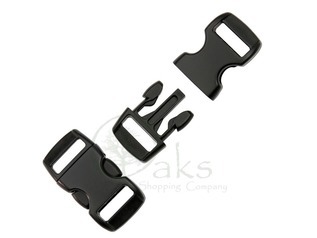 Boonies Scout Paracord works great with our own range of compact paracord bracelet buckles and accessories. 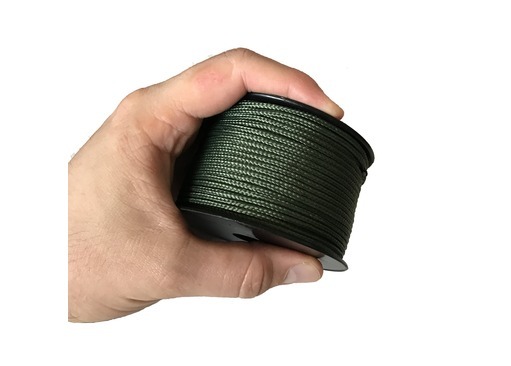 In addition to Boonies Scout Cord, they now offer a 3mm version (Boonies Outdoor Cadet Paracord), and of course, their world-famous genuine 550 versions for those that demand the very best cord available - the only cord trusted by bushcraft professional and the US Military. 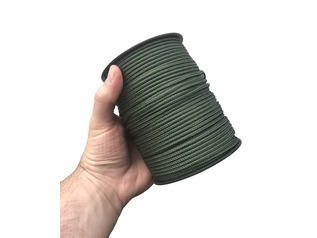 "This 2mm Boonies paracord is really good quality, great for when you need a strong paracord that's not so chunky as 550. It also comes on a nice handy pocket sized reel that keeps it neat and untangled if you're using it "out in the field""
"It's string, in shiny bright colours. Do not eat it. As string it works very well, as pasta it is rubbish, takes hours to cook and its very tough. Pasta substitutes may include cabbage, or spirulised carrot, but not boonies outdoor scout paracord. Boonies outdoor scout paracord make excellent paracord bracelets, and holds my tarp in place.. It holds things securely and let them down gently. Just don't eat it." "I just love this smaller than usual paracord by Boonies. 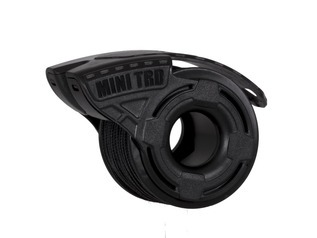 It's great quality and a full reel easily fits in an average sized pocket which is really very handy when out in the field. I even used the black cord as a fishing line which actually worked! "